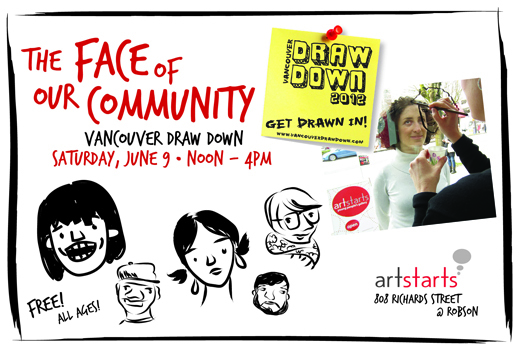 Join us this Saturday, June 9, 2012 for Vancouver Draw Down! Think you can’t draw? Think again. 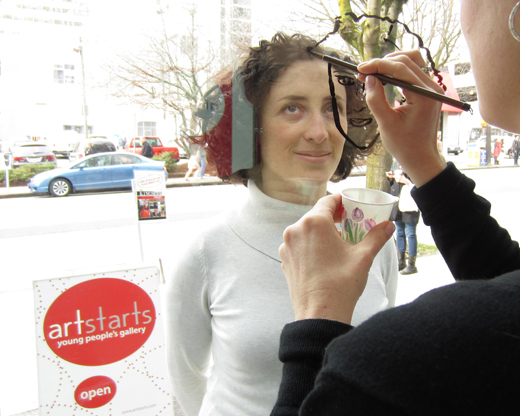 The Face of Our Community — Join us to create a collaborative window mural that celebrates the diversity of our community! Still Life Drawing — Explore an age-old technique with a twist. Sidewalk Chalk Art — Doodle to your heart's content! Defining Moments — Check out the new exhibition in the ArtStarts gallery, featuring the work of Canadian youth exploring and expressing their individual and collective identities. See you there! Bring your friends and your imagination.